Thank you for supporting our 30th Anniversary Fundraiser! 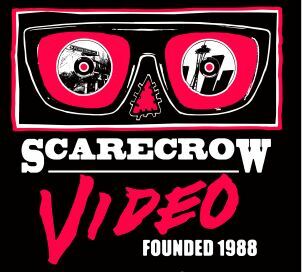 Proudly display your support of Scarecrow Video with our crow logo. 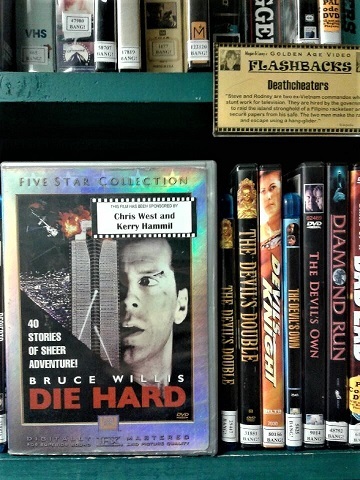 A DRM-free download of one of the following hilarious, feature-length VHS clip reels gathered entirely from Scarecrow Video’s vast collection of vintage VHS craziness: VHSXMAS (1 or 2); VHS Variety Special; Sports, Leisure & Videotape; The VCR That Dripped Blood (1, 2 or 3); VHS for President; VHSEX (1, 2 or 3); Saturday Morning Confusion; VHS Vengeance; This is Your VCR on Drugs; or Rock Out With Your VCR Out. Rock Out With Your VCR Out trailer on Vimeo. 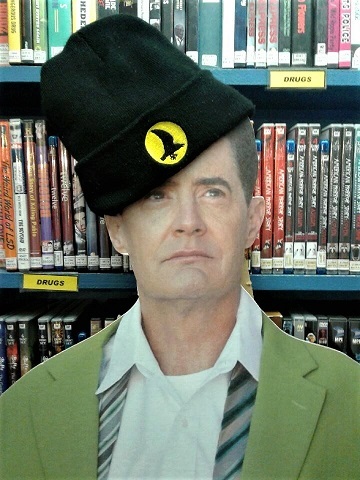 A list of your top ten movie recommendations posted in our newsletter, on our website and on the shelf alongside our regular Staff Picks rotation! Personal Scarecrow tour with expert staff. Get the full Scarecrow experience, personalized for you by our very own physical media guides and cinephiles. 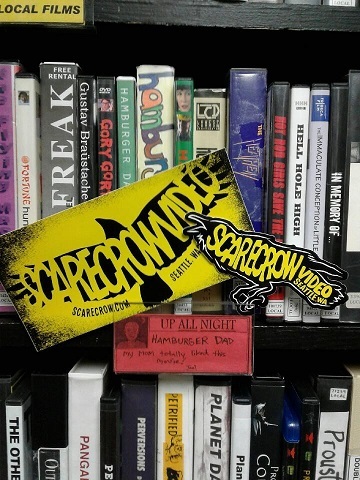 Be among the first to get an original beanie repping Scarecrow Video! Why didn’t we get these years ago? We’re not sure. Claim yours today! Program one glorious night in our Screening Lounge. Choose any title from the Scarecrow collection to screen for an audience. Curate your special shelf! 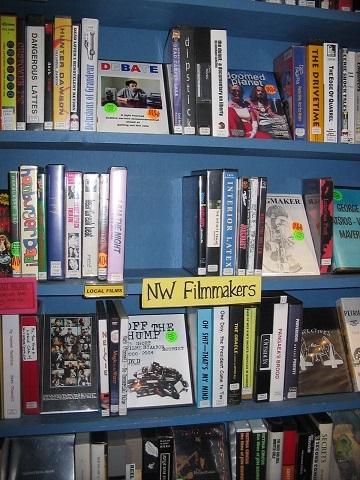 Choose 10 titles from our collection for your own featured shelf in the store! Pick a category or just list off your favorites! Dress to impress… with the limited-edition Scarecrow t-shirt and brand-new beanie! Curate your special section! 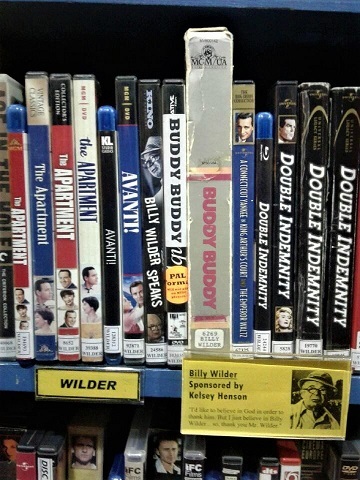 Choose up to 75 titles from our collection for your own featured section of the store! Pick a category or just list off your favorites! Host your very own private party in our Screening Room. Includes rental of the space and your choice of movie. Sponsor a specific title of your choice from the Scarecrow collection (subject to availability). Forever be known as the person who made someone’s rental of IT possible! Sponsor a title of your choice from the Scarecrow collection (subject to availability). Plus, the limited-edition tee designed by Scarecrow staff! 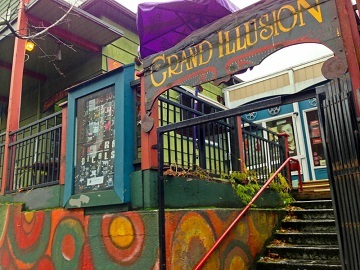 Private party at Grand Illusion for up to 40 with popcorn and a screening of the movie of your choice from Scarecrow. Date and time dependent upon Grand Illusion’s schedule. Limited availability. 3 full months of free rentals from Scarecrow Video! Yes, really! 6 months of free rentals from Scarecrow Video! Free rentals for 1 year. You heard us. A whole entire year of free rentals! Take the year off from work and bliss out on our collection. BE A VIDEO TRAILBLAZER! DONATE TODAY! You will be contacted within 30 days of the completion of the fundraising campaign for fulfillment of your selected reward.